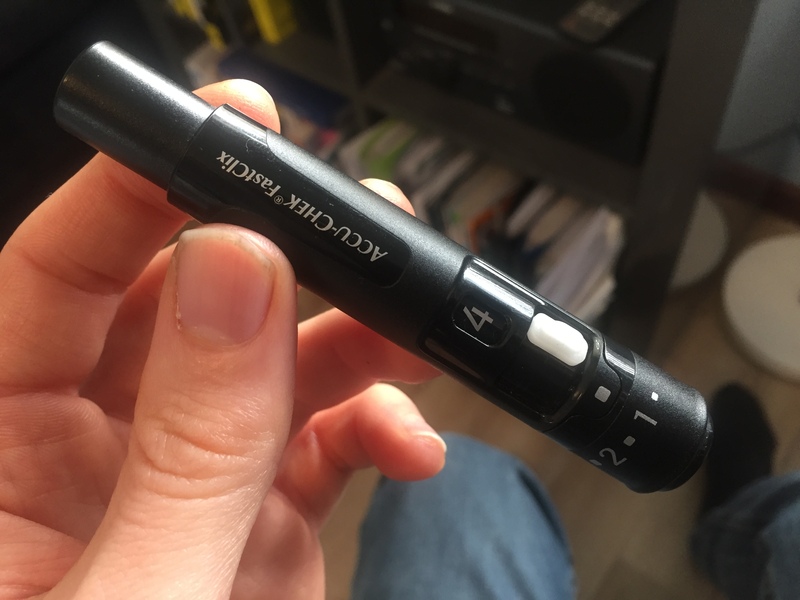 The AccuChek Guide has by far become my new favourite blood glucose meter in recent months. I first received this meter from my friend Tammy of Diabetes: Forever and Always, before also picking up another one from the trade hall at the ADS-ADEA conference last year. There was, of course, no expectation that I would write or even use the meter itself. The Guide has been around for a fair while, with it’s first claim to fame being the “spill proof” capped test strip vials. Strips can also be easily accessed by simply sliding them out of their place, without having to stick your fingers in there and fumble around for one. While this meter does use a slightly larger blood sample (0.6uL) compared to my FreeStyle Insulinx (0.3uL) and OneTouch Verio IQ (0.4uL), the accuracy more than makes up for it. Past meters have shown big variances from two consecutive readings, aren’t consistent with other meters, or the readings simply don’t match up with my feelings,. Even on grubby working hands, I have found the Guide’s accuracy to be the most consistent and superior. I also like that I can see the blood go onto the strip, compared to my previous FreeStyle Lite strips which had me guessing whether it was blood or sweat had gone onto the strips. My biggest gripe, as with other meters, is the strip fill errors. If I don’t get enough blood on the test strip on the first go, which often happens when I’m quickly trying to check during a red light on my way home, I have no choice but to start over with a fresh strip. Alternatively, both my Optium Xceed (does that meter still exist?) and the FreeStyle Insulinx gave me an additional 60 seconds to apply more blood. One thing that disappoints me most is that every meter in the AccuChek family uses a different line of test strips. In comparison, the FreeStyle family only has two kinds of strips (to my knowledge). 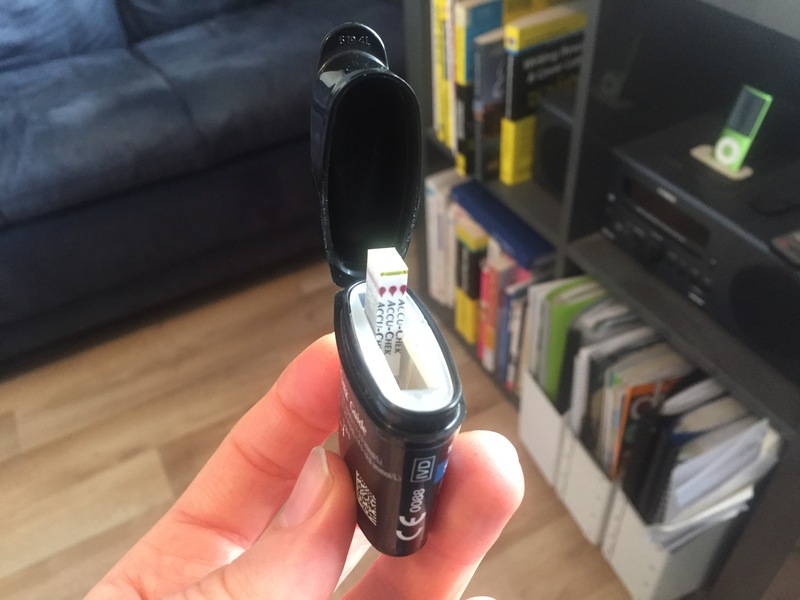 This definitely limits my enthusiasm to trial other meters, and does prove inconvenient when trying to stockpile test strips for spare or travel meters. The guide comes with AccuChek’s FastClix lancing device, which is pretty damn amazing. Each cartridge change contains six lancets, meaning that I can change my lancet six times by simply sliding the little white knob. Unfortunately, this still does not motivate me to change my lancet any more often! There are also 11 depth settings, making the finger pricking experience pretty comfortable. By far, my favourite feature of this meter is its Bluetooth connectivity to the AccuChek Connect smartphone app. Every time I check my blood sugar, the reading is wirelessly transferred to the app on my smartphone. 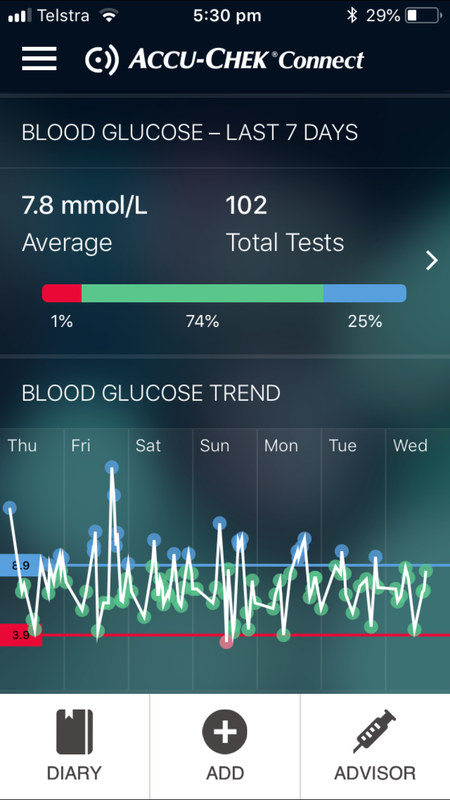 The app makes it so convenient for me to review my blood glucose data, without the hassle of having to force myself to sit and upload each meter to my computer with its corresponding USB cable. When you test your blood sugar as often as I do, you’ll get a nice graph of patterns and time in range, which has been really helpful to me while I’ve been adjusting to my pump break. 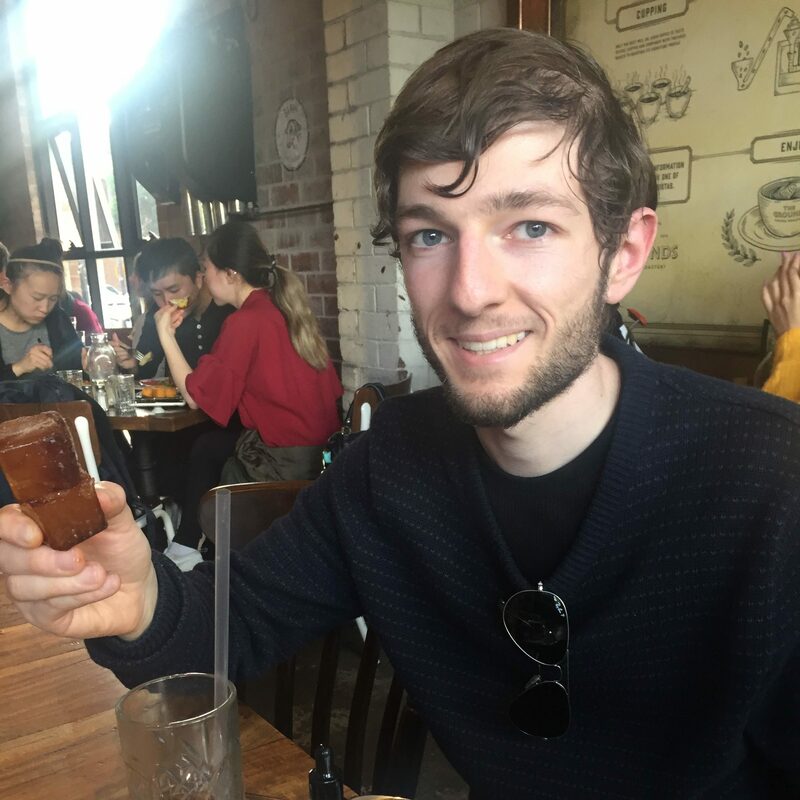 The app also has a built in bolus calculator that can be accessed with a single use code from a healthcare professional, however this feature has been recalled in Australia for some time. I’m currently using RapidCalc for bolus calculations on my iPhone while I’m on my pump break, but I would love to integrate my insulin dosing into the Connect app as well. The biggest tradeoff to the additional features is a faster drain on the meter’s standard coin cell battery. I might get 2 months of battery life from checking my blood sugar 10 times per day on my main meter, alternating between a spare and a FreeStyle Libre as well. 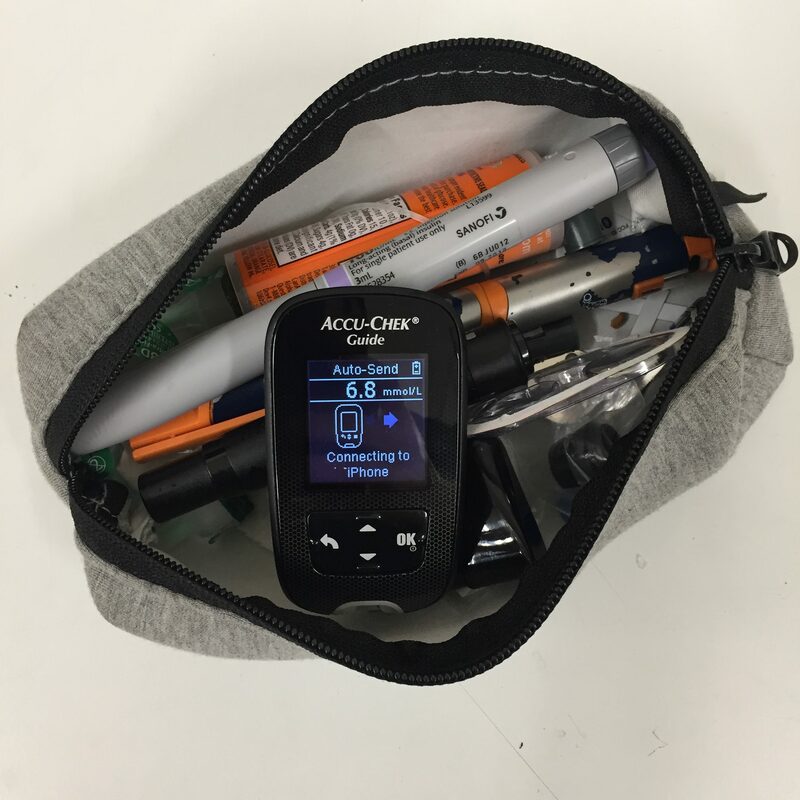 The AccuChek Guide is an amazing, amazing meter that has all the bells and whistles for 21st century diabetes management. It definitely helps keep me feeling excited and motivated in managing my diabetes. Bells and whistles aside, however, the biggest sell for me is that it’s a meter that I can trust. It’s definitely worth asking your diabetes educator for one on your next visit. To start I love the Fasclix. I use only it these days. It is the best. The guide is also pretty cool. 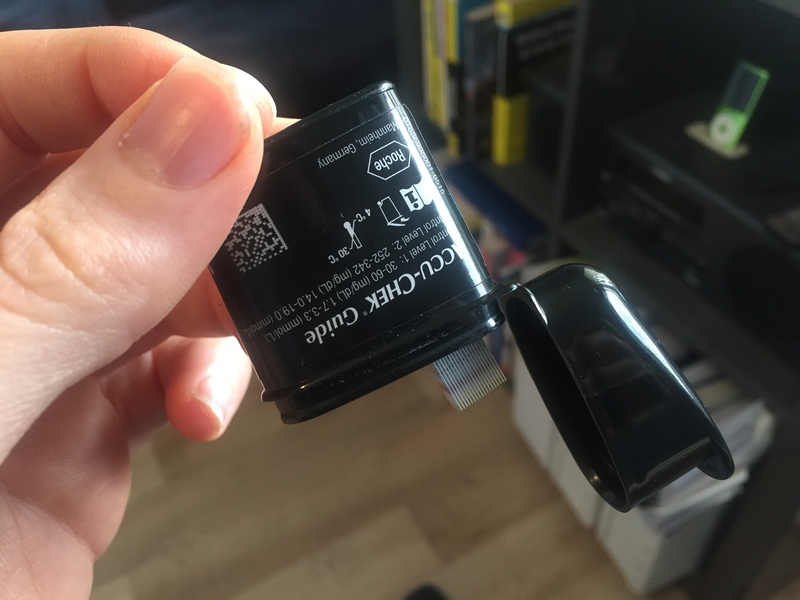 I like that my fingers can grasp the test strip easily and they do not seem to fall out of the holding case.